With so many components making up your Toyota Tundra's interior, things tend to get loose and rattle. Read on to learn about specific parts known to cause rattling noises. The Toyota Tundra is a heavy truck that is full of smaller components. Over time, these components become loose and cause rattling noises. Sometimes, the issue could be as small as a loose piece of trim, or it could be a bit bigger than that. This guide will shine some light on the components that are susceptible to getting loose and causing rattles. Read on to learn how to tighten up your Tundra's interior. The most common source of interior noise is from the interior trim. This could happen because one of the screws or clips got loose. To check that, use your ears to detect the general area where the sound is coming from, and when you finally have an idea, use your hands to press on the trim. If it is loose to the point of rattling, you'll feel it with your fingers. Some pieces of trim are attached using clips, which can be put back in place by pressing gently on them until they clip together, while others are attached using a Phillips head screw. Follow the trim from the arm rest, through the middle, and to the center console. Figure 1. Center console trim. If the trim is tightly attached, proceed to Step 2. 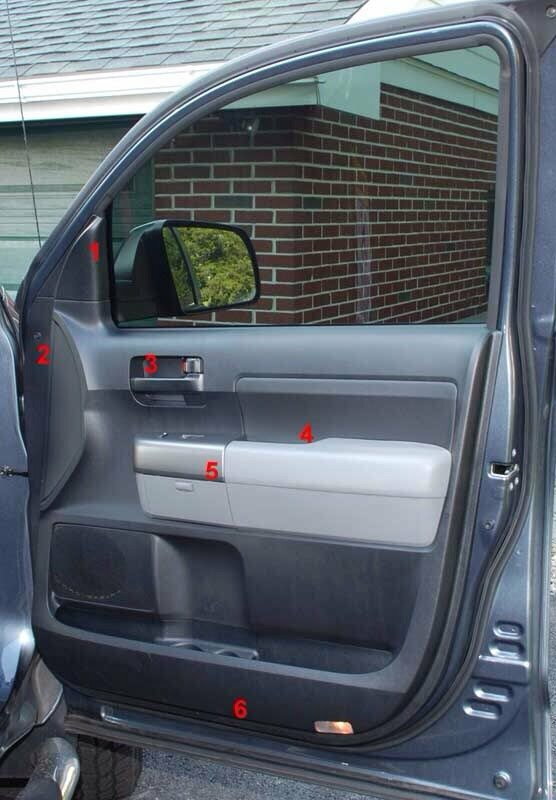 The door panel tends to get loose, because it's constantly being opened and closed. Sometimes, the Phillips head screws just need to be tightened. There is a screw in the section where you grab to close the door as well as inside the door handle. You just need to pop off the piece of trim covering it. Finally, there is a clip under the mirror from the inside. Be sure these components are tightly secured and not missing. Figure 2. Check the individual pieces of trim on the door panel. If the door panel is tight, proceed to Step 3. 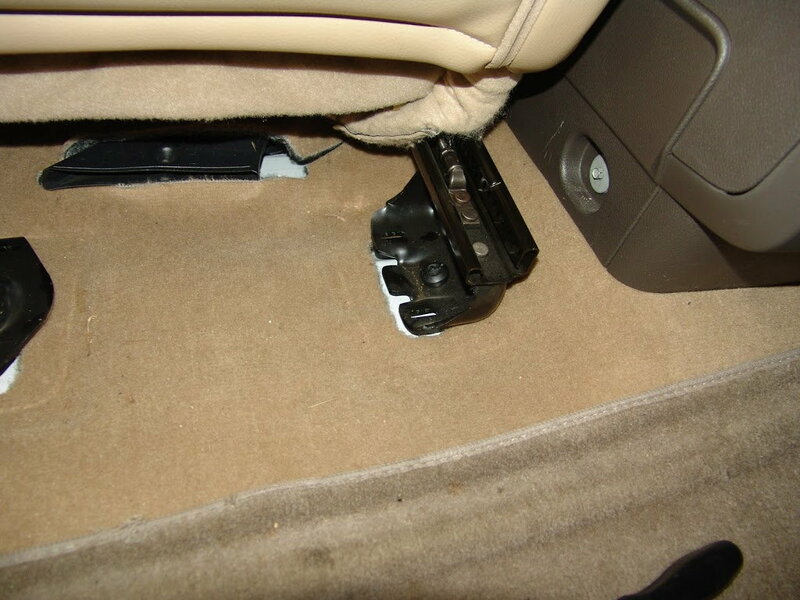 This is another common reason for interior rattling. Your Tundra's seat is held in place by a series of bolts. As you go in and out of the truck and spend many hours sitting on the seat, one of the bolts is bound to get loose. 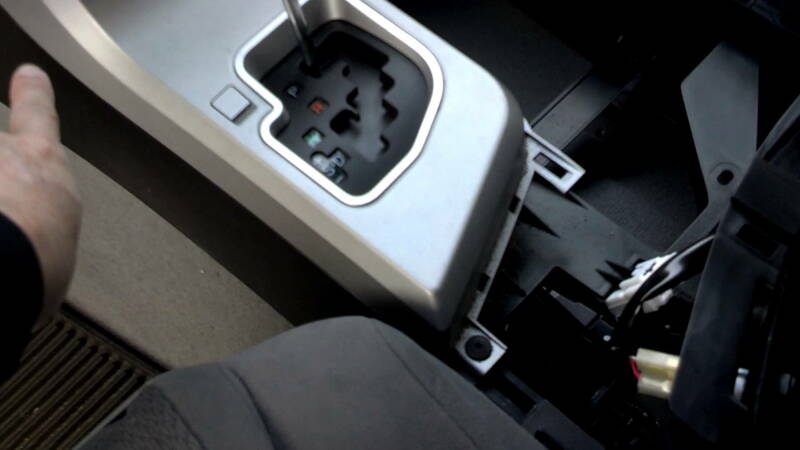 Locate the series of bolts under the seat and ensure they are tight. You can use your socket to tighten them. Toyota 4Runner 1984-1995: Why is My Interior Rattling?